Hyacinth Games have a slew of new RPG and miniature gaming content coming out for Wreck Age, our post collapse RPG and miniatures line. 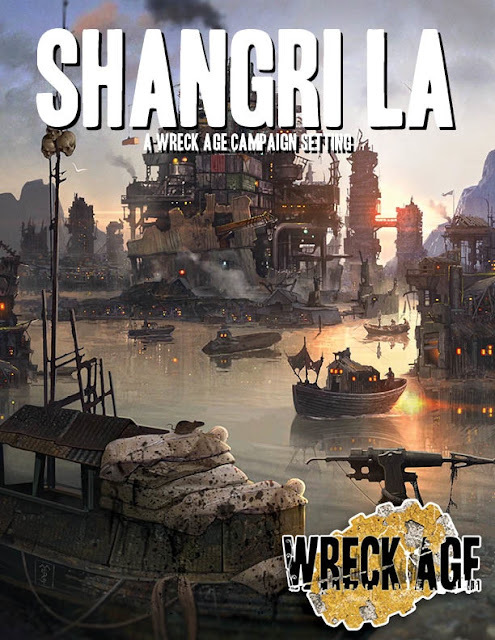 Shangri LA is an upcoming Wreck Age source book which will give you a plethora of details and background on the fabled floating city that lays isolated on the Washed Coast of the Merikan continent. The city state of Shangri LA is a coalition of many water-borne communities in Malibu Bay and the surrounding areas, from the lawless Sandy Echo, to the social and economic heart of Shangri LA: the Sphere. Shangri LAs borders span many countless kilometers, and is defended by a volunteer citizen militia. Outsiders are met with disdain and contempt, and all but the most resourceful and renown traders must do business at the far-flung trade posts of the Boneyards, laying deep in the Mojave desert, and connected to the city by a high speed rail line. 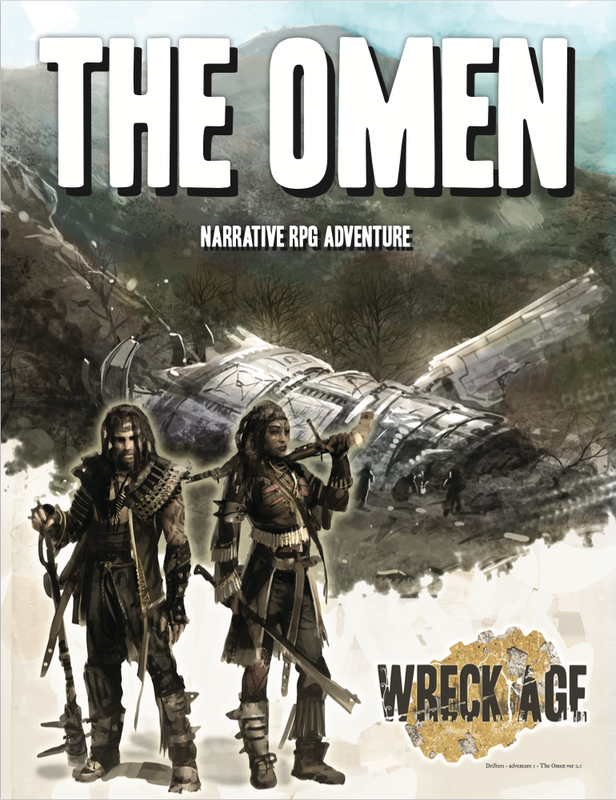 The Omen is a Wreck Age adventure for 3-5 players, who may each control up to two characters each. This adventure is designed for green level characters. The Omen is set in the rugged eastern end of the Merikan continent, but can easily be modified to fit any Wreck Age setting. Hyacinth Games has a rapidly expanding line of Wreck Age RPG content, tabletop wargames, and a full line of miniatures. Thanks for the interest! If you want to check out Wreck Age our site wreck-age.net is the best place to start.